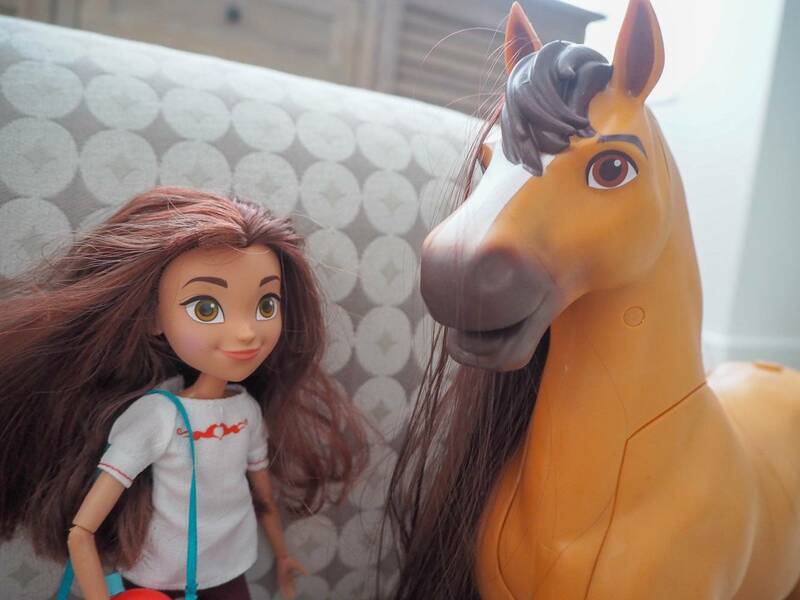 My girls both love watching Spirit Riding Free and since they got the Spirit Riding Free Play Barn, they are not only playing it more, they are watching it more. I love it when toys enhance their love of a programme. We were recently sent the Spirit and Lucky Deluxe Feeding Set and they couldn’t wait to see what it did. They couldn’t get over how big Spirit was and Holly wanted to to ride her. Of course I quickly said she wasn’t for her, but for Lucky to ride. 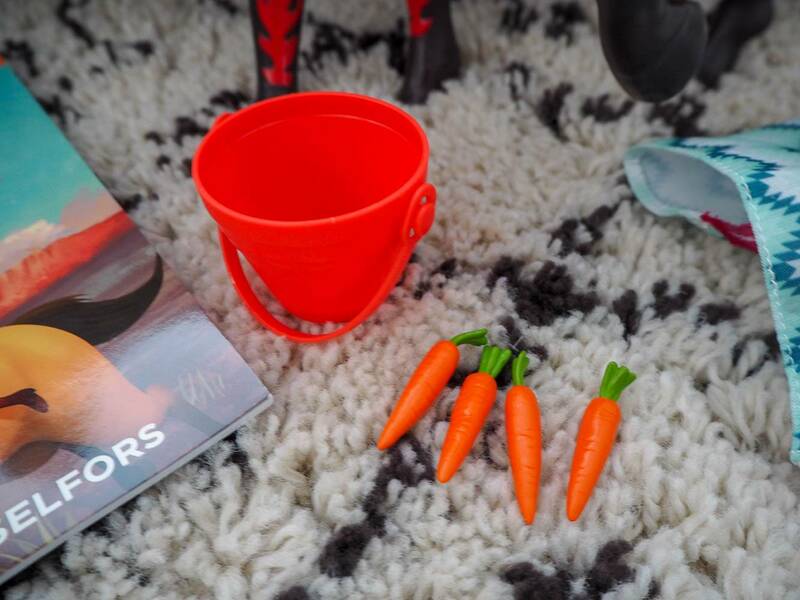 Not only do you get Spirit and Lucky, it also comes with a canteen, a bucket, 4 carrots, a blanket and a chapter book which Alice was excited to see. 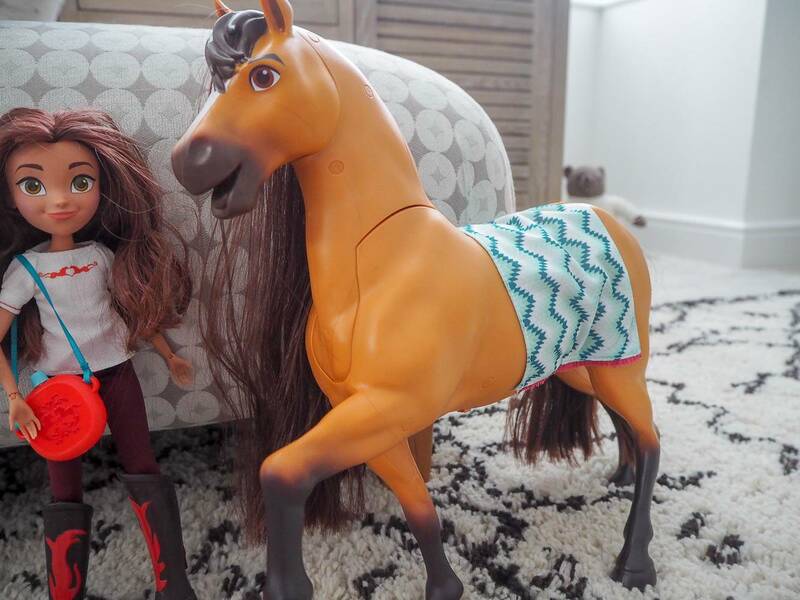 Lucky comes dressed in her signature clothes and boots and is possible to be able to ride Spirit. 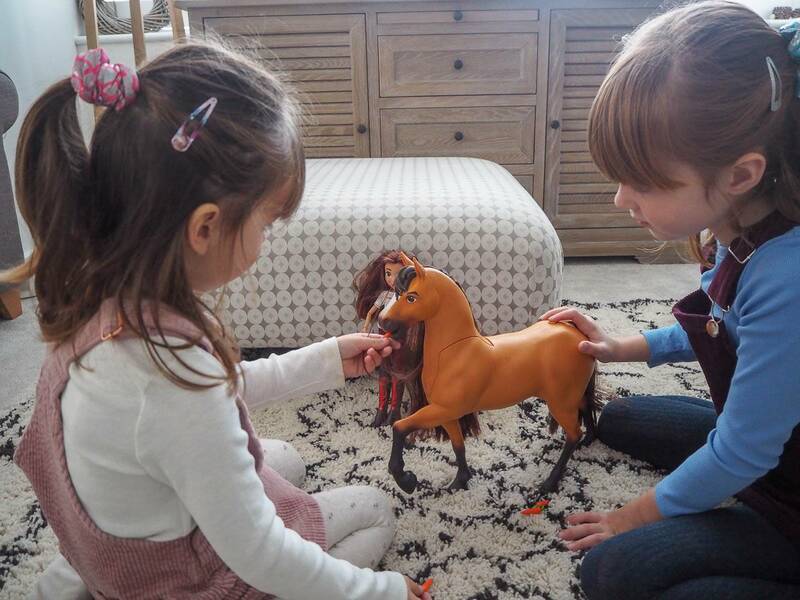 Alice couldn’t wait to start playing with them and loved how long and real Spirit’s mane felt. The best bit about Spirit is that he can actually eat the carrots. You just press and hold the button on his back, to activate the realistic mouth and jaw movement. You then carefully feed the carrot into its mouth and in it goes. Sometimes with toys, these things never really work that well. But this one does. Both the girls could easily feed the carrots to Spirit and they loved it. Once Spirit has eaten all 4 carrots, there is a flap underneath to open and retrieve them. 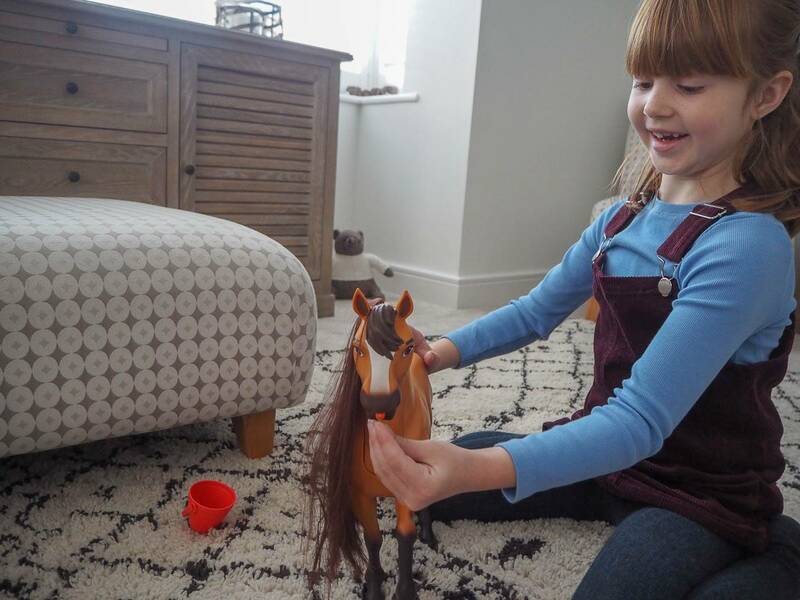 I love toys that bring my girls together and they loved taking it in turns to feed Spirit the carrots, whilst the other one pressed the button. Spirit can also lower his head just like a real horse when it eats and drinks. 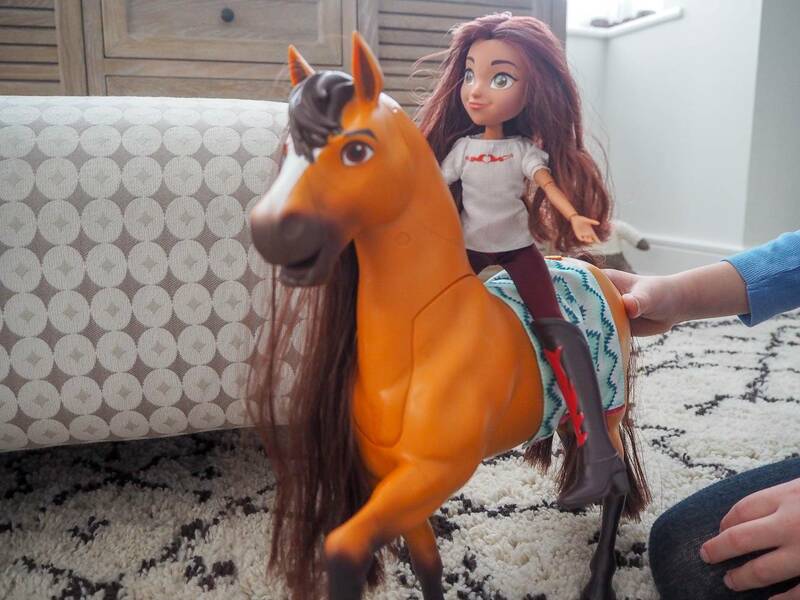 Lucky can easily ride Spirit and you can move her around into all different actions. 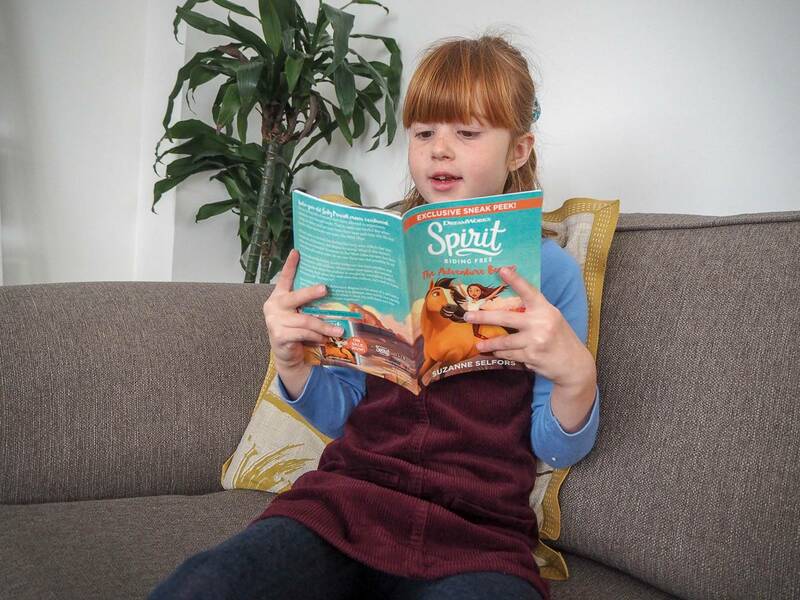 Alice couldn’t wait to read the book, as we don’t have any Spirit Riding Free books. This one is called The Adventure Begins and it’s lovely to have a book included. This is a really nice addition to a playset. We’ve been enjoying reading this over the last couple of nights. 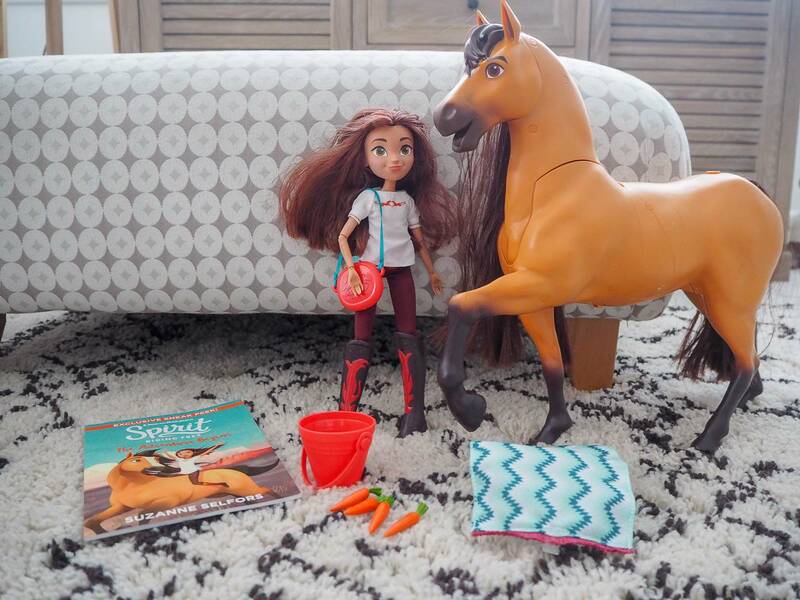 You can buy the Spirit Riding Free – Spirit and Lucky Deluxe Feeding Set from Smyths Toys RRP £59.99. 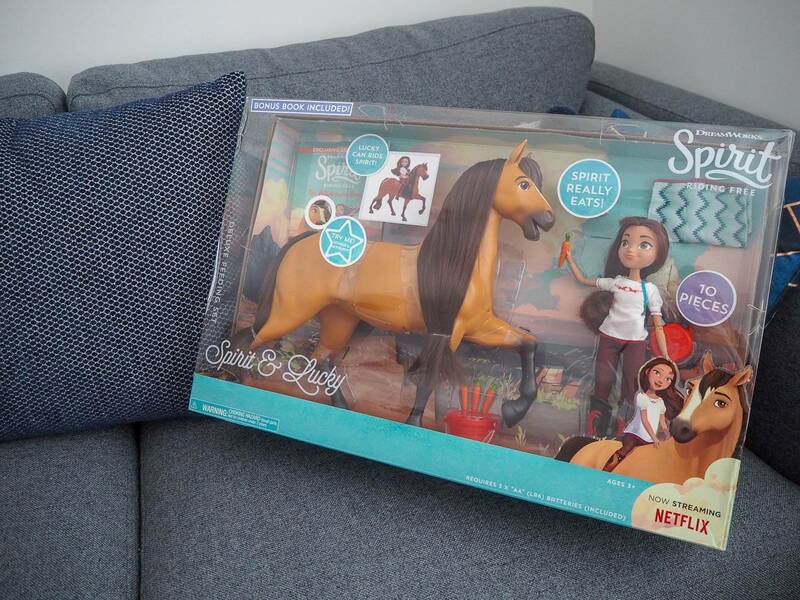 The whole Spirit Riding Free toy range is now available in the UK. I’m sure it will be on many horse lovers Christmas wish list this year! 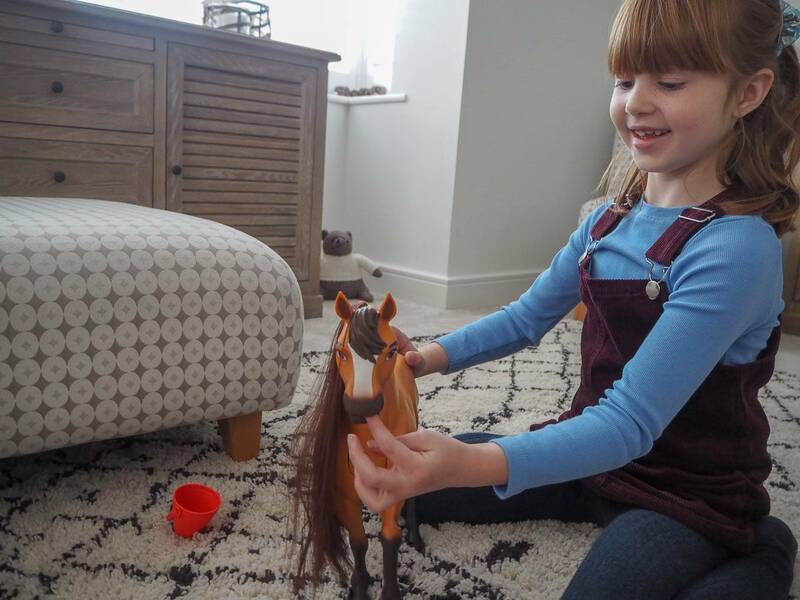 I have a great giveaway for one lucky reader to win a £50 Smyths Toys Voucher. All you have to do to enter is head to the Rafflecopter below, it ends on Sunday 9th December 2018. Good Luck! 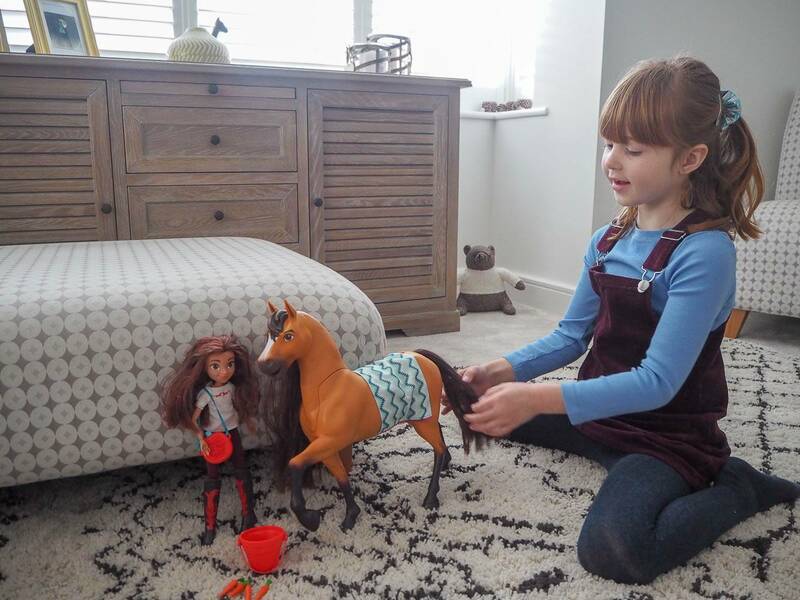 Disclosure: We were kindly sent our Spirit Riding Free Deluxe Feeding Set in return for an honest review. All views, opinions and photos are my own. These toys are utterly gorgeous aren’t they? My two don’t play with toys that much but they can get absolutely lost in their own little world playing Spirit! My daughter absolutely loves the program and I must admit that it is quite a nice one to watch with her. That is a fantastic set, really lovely. I will have to start thinking about girl’s toys as I have a new granddaughter. Horses have always been popular. What a lovely play set. I can see why your girls love it. I adore the fact that they can feed the horse carrots too! What a cute set. I would love to win this for my kids. They would be so thrilled. I haven’t heard of Spirit before, what a lovely play set. My guys love toys like this.